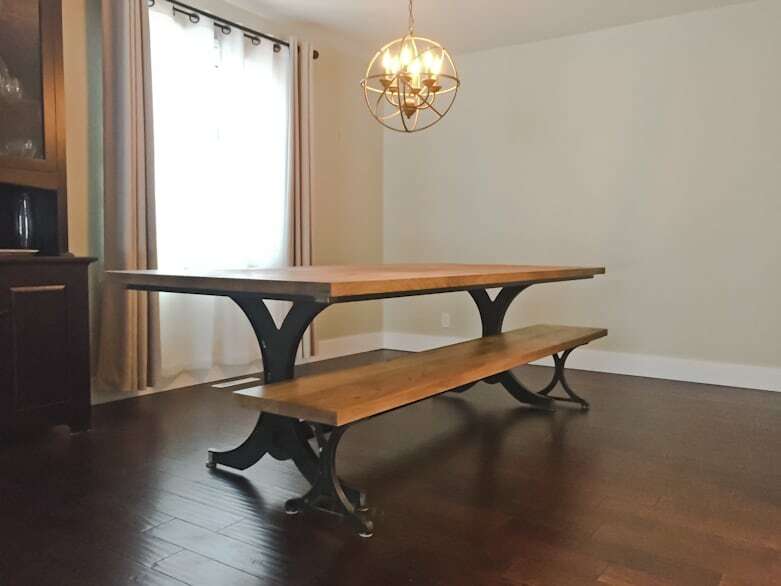 Modern industrial are two words that describe this dining table and matching bench. 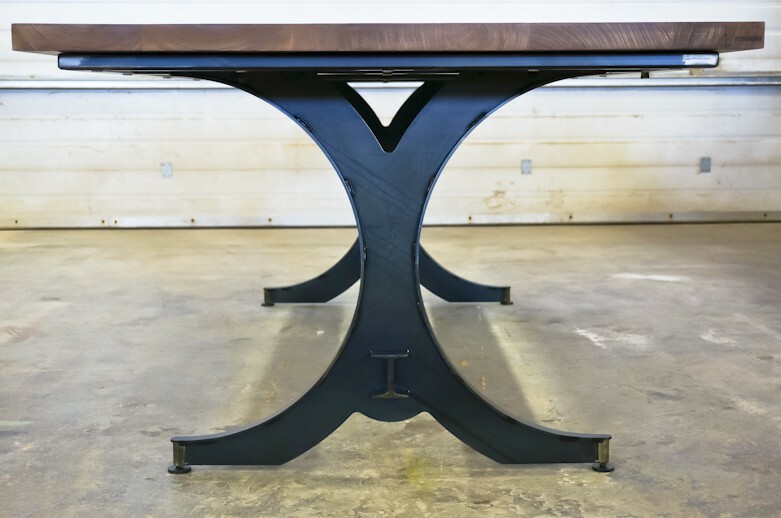 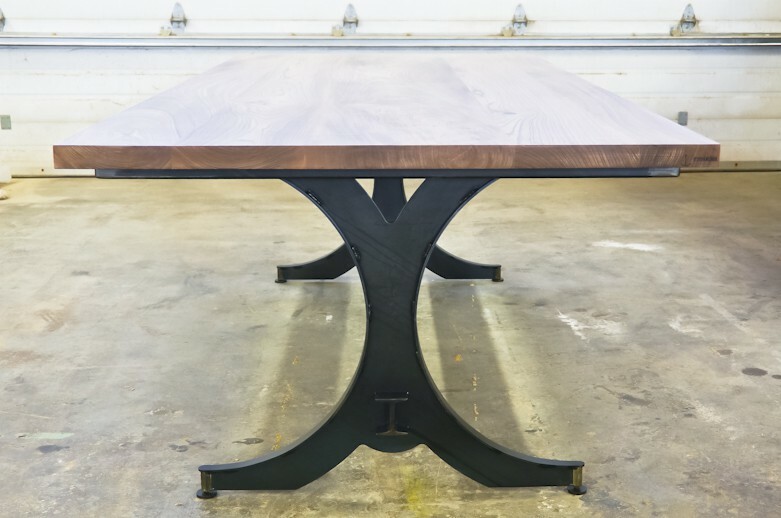 The tabletop and bench top were built with reclaimed Elm and was treated with a custom stain. 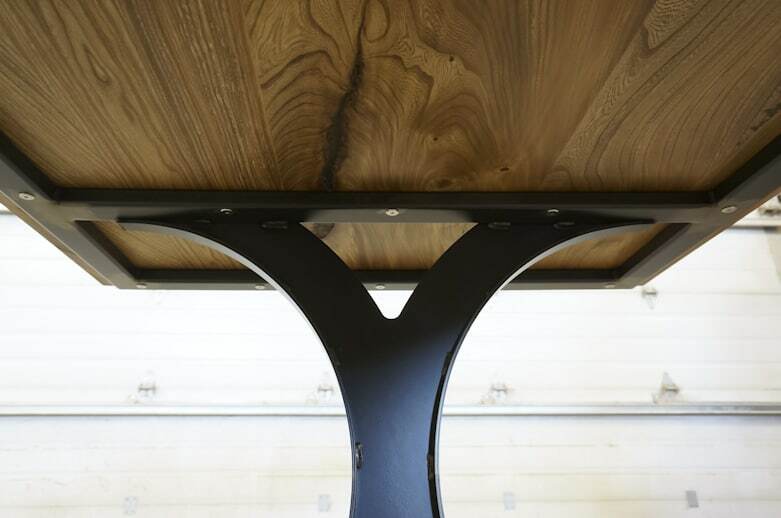 As beautiful as natural Elm is, if you’re looking to add some pop in Elm staining it really brings out the grain! 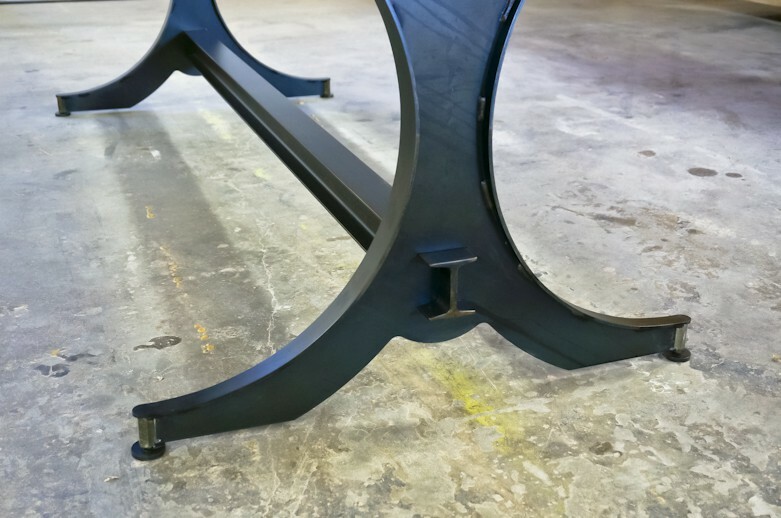 Our customer requested to have an industrial leg design that was unique, bold, and made a statement. 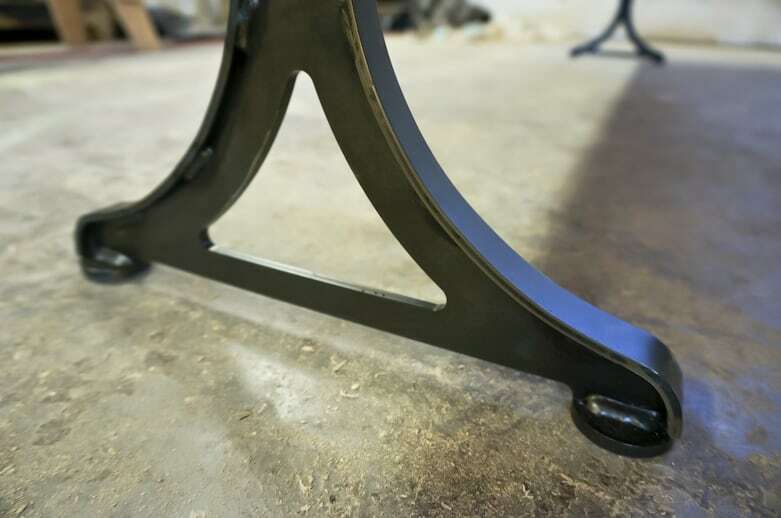 Our lead designer (Kellen) came up with the “Rearden“. 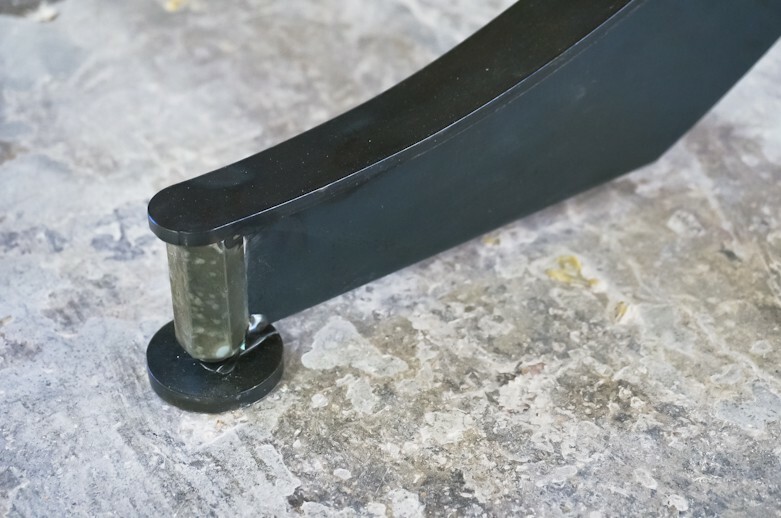 A steel I-beam stretcher cuts straight through the cast industrial legs design. 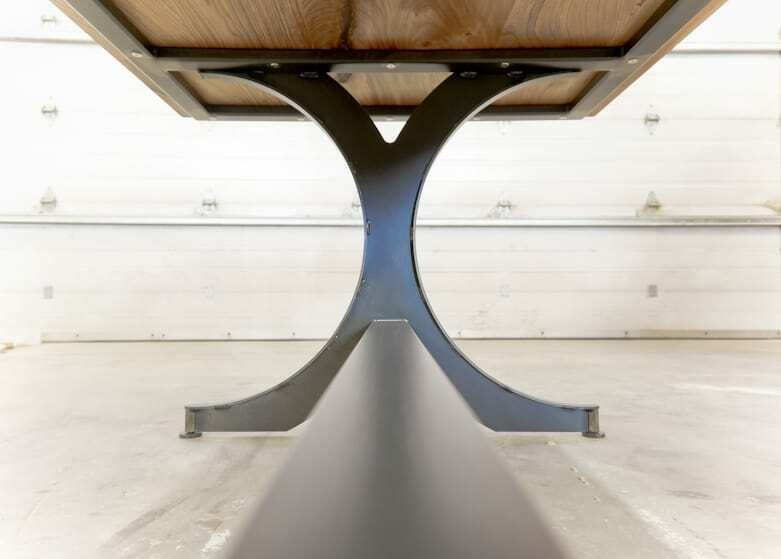 “Pays homage to a history of cast industrial components with a refined profile.”. 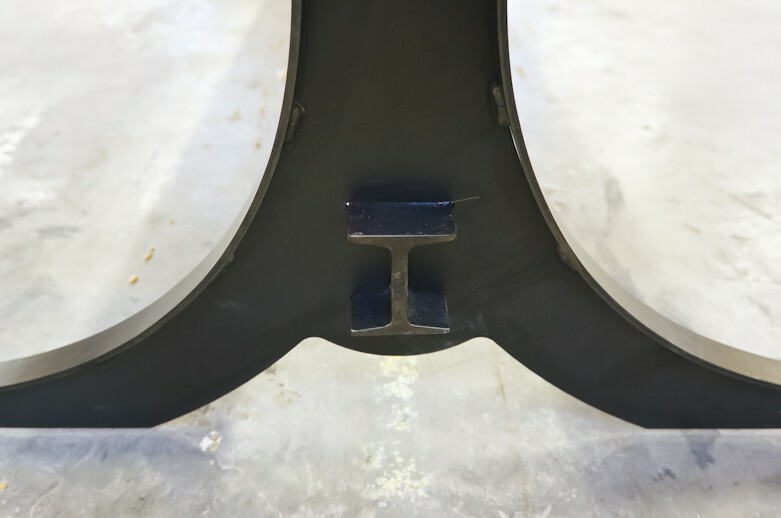 The legs also have integrated steel leveler feet. 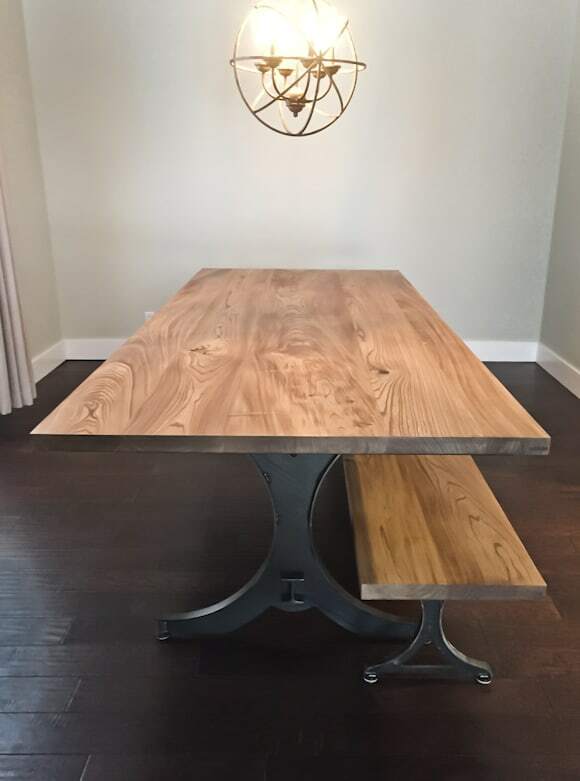 8′ x 42″ x 1 1/2″ reclaimed Elm table (straight edge) with custom stain, finished with OSMO Hardwax Polyx Oil. 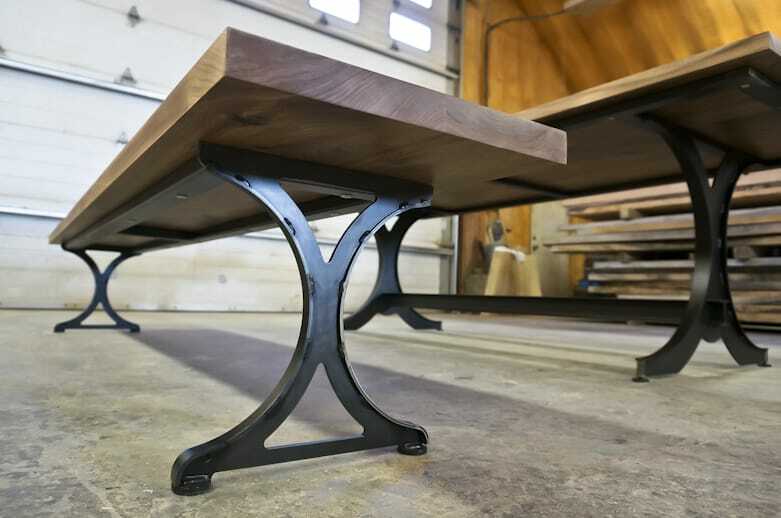 With Readen steel leg and steel tabletop under structure.